This scenic 22 mile hike will take you along the beautiful coastal paths and stunning beaches of the Gower Coastline. The event starts at Rhossili Bay in the National Trust Car Park, SA3 1PR and finishes with a celebration at Mumbles Cricket Club, SA3 4JE. If you decide to do this and choose to take the bus out to the Start at Rhossili, when registering on our website, you MUST select that you require a bus. The bus will take you from Bracelet Bay to the Official Start at Rhossili. The 22-mile walk will start from Rhossili Bay at 08.45am so please arrive in plenty of time. The registration desk will be open at 08.00am. If you have opted to take the coach from the car park at Bracelet Bay, Mumbles, you will need to be ready to board the coach at 07.30am. Coaches will leave Bracelet Bay promptly at 08.00am. We estimate that people will take approximately 7 - 10 hours to complete the hike so will expect walkers to be arriving at the Finish between 4pm and 7pm. You will be provided with a hard-copy map in your event pack which should be with you in August. You must bring with you on the day but the route will be fully marked and marshalled. We’re afraid not. The aim of the event is to raise as much money as possible, so we can be right there for people living with cancer, to help them live life as fully as they can. So everyone who walks on the day will need to pay the £20 registration fee and aim to raise the fundraising pledge of £125. Car parking is available near the Finish at Bracelet Bay (see above). There are also some spaces at Mumbles Cricket Club for family members and supporters who may wish to welcome friends and relatives at the Finish, from approximately 3:30pm onwards. PLEASE NOTE: transportation back to Rhossili is not provided at the end of the day. We recommend that walkers select to make use of the buses provided or arrange to be dropped off at the Start at Rhossili by family/friends. We do NOT recommend that you drive to the Start and leave your car at Rhossili. If you choose to do this, it is your responsibility to collect your car from Rhossili at the end of the event. Bottled water will be available free of charge along the route. However, we recommend you bring at least 2-3 litres of water with you. There will be no food provided so you should bring a packed lunch and snacks, or money to purchase food at the various cafes and refreshment establishments along the route. At the Finish you will be able to purchase hot food and the bar will be open at Mumbles Cricket Club. As for any charity, organising events costs money. 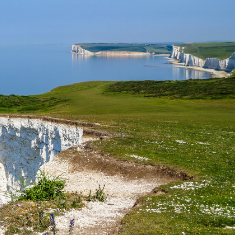 The registration fee of £20 does not cover all the costs of putting on a hiking event of this scale so we have to set a minimum fundraising amount. 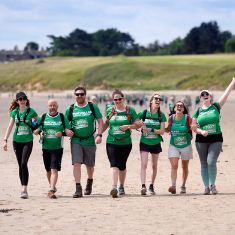 This ensures that Macmillan’s costs are covered whilst ensuring the majority of fundraised money is spent on supporting people with cancer to help them live life as fully as they can. This is, of course, the main aim of the Gower Macmarathon. About 2 weeks after you sign up you will receive a Fundraising Pack in the post with training tips and fundraising ideas. You can also download a comprehensive Fundraising Guide to help you, together with a Sponsor Form and other tools to help boost your total. We’ll be in touch with helpful newsletters and are on the end of the phone if you need assistance. Download and complete this request form and send it back to us. Don’t forget it takes 2 weeks for your tin or bucket to arrive so send in your order in plenty of time. o By Post - send a cheque made payable to Macmillan Cancer Support and addressed to Macmillan Cancer Support to 89 Albert Embankment, London, SE1 7UQ. Please complete a Postal Payment Slip or write a short note stating your name, address and amount sent. Always quote GO2019 – Gower Macmarathon 2019 22 miles on any correspondence. o At a NatWest or RBS branch - email us for a bank giro credit slip to use at your local branch. Please mark it Gower Macmarathon 2019 22 miles. This is a long walk in Wales so you should be prepared for all weathers! We recommend you wear layered clothing, comfortable footwear (walking shoes/boots recommended) and bring waterproofs, hat, gloves etc., to protect you from the cold and wet. You will also need a rucksack to carry everything needed throughout the day (camera, water, snacks, waterproofs etc.). We also recommend you bring a pair of flip flops with you for when you walk across the sand. This will ensure that you do not get very wet feet/socks! In previous years, some of our participants have decided to wade through the streams of Oxwich Bay and Three Cliffs, so please bring a spare pair of socks. Can I transfer to the 14-mile event?